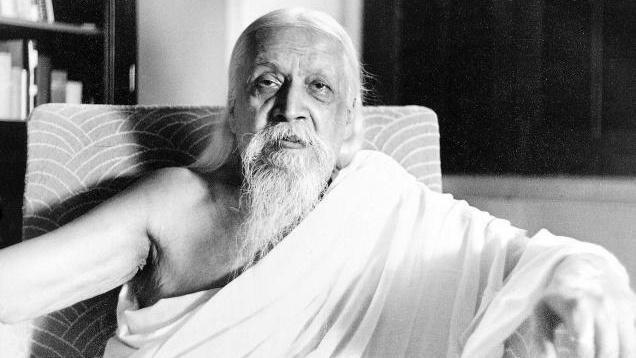 Nobel nominee Sri Aurobindo entered politics to demand complete autonomy from British rule. But taking up yoga during a jail stint turned him towards philosophy. Sri Aurobindo, one of India’s greatest philosophers, was a yogi, a poet, and a nationalist. Once a part of the Indian freedom movement, he supported radicalism and worked closely with nationalist leader Bal Gangadhar Tilak. But Aurobindo withdrew from politics while he was in his late thirties and decided to dedicate the rest of his life to spirituality. On his 68th death anniversary, here’s a look back at the life of the spiritual leader. Aurobindo Ghose was born on 15 August 1872, in Calcutta. His father Krishna Dhun Ghose, a doctor, was greatly taken in by the British culture and encouraged his children to follow in his footsteps. Ghose was only seven years when he left for Europe, where he spent 14 years. He returned only after completing studies from King’s College, Cambridge, and secured a job with the royal family of Baroda. However, on his return to India, he realised the nature of the British rule. Consequently, he delved into active politics. Aurobindo’s political career was short lived but his approach towards it impacted the entire political scene in the country. He was extremely vocal about his political ideologies and clearly stated his demand for complete autonomy from the British. He was active in politics between 1906 and 1910. In 1907, he started an English newspaper, Bande Mataram. In 1908, Aurobindo was arrested in connection with the Alipore Bomb case, which saw the trial of Indian nationalists for waging a war against the British government. He served a jail term for about a year. On his acquittal in 1909, he retired from active politics. During this period in jail, he took up yoga to acquire spiritual force. In the process, he had an awakening and decided to devote his life to spirituality. In 1910, after the completion of his trial, Aurobindo moved to Pondicherry, then a French colony. In 1914, he started a spiritual magazine called Arya. His philosophy and stress on Sanatan Dharma started gaining him popularity. In this time, he found proximity to the Indian culture. In 1926, Aurobindo established Sri Aurobindo Ashram in Pondicherry. French national Mirra Alfassa, often referred to as “The Mother” by followers, helped in the establishment of the ashram. She was a spiritual collaborator of Aurobindo. Auroville, an experimental township near Pondicherry, was established by Alfassa. As part of his spiritual work, Aurobindo wrote extensively on human evolution and yoga. His work found many admirers, including philosophers Paul Brunton and Rene Geunon. Aurobindo got married to Mrinalini Devi in 1901, but she died in 1918. He didn’t remarry. From 1926, he chose a life of seclusion. He was nominated for the Nobel Prize in Literature in 1943 and for the Nobel Peace Prize in 1950. He died the same year on 5 December, at the age of 78. Thanks for the story. But urge to get us a bit more about Sri Aurobindo for which would remain grateful.